Vitamin K2 – have you ever even heard of it? Ok, maybe you’ve seen the vitamin on supplement labels here and there but it’s not the most commonly known vitamin on the market. But the benefits of vitamin K2 are surprisingly vast and profound – and some that we should all pay attention to if we want to ensure our body gets the nutrition it truly needs. Chronic inflammation is widespread nowadays and the cause of most modern day degenerative diseases. So many of the foods we eat, the air we breathe, and the stresses that our bodies and minds go through are highly inflammatory in nature. So taking the necessary steps to decrease inflammation is always a good idea, and making sure you’re getting proper amounts of vitamin K2 in your diet is one way to do just this. To decrease inflammation via vitamin K2, you’ll want to eat lots of fermented foods. Think miso, sauerkraut, kefir, kimchi, and kombucha. The food with the highest amount of vitamin K2 is a rather obscure Japanese food known as natto. Shown in the picture above. 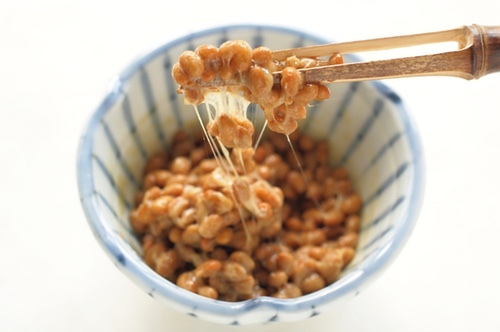 To get proper amounts of vitamin K2 through a whole food like natto, you’ll want to eat approximately 15 grams a day. If you suffer from osteoporosis, vitamin K2 is another go-to nutrient – along with vitamin D and calcium. In fact, vitamin K2 is said to be even more important than calcium when it comes to healthy bones. Many studies are coming out that are showing the significance of vitamin K2 for osteoporosis – especially for women as they age. While most people turn to prescription drugs to treat this bone disease as they get older, it’s really a whole foods diet, ripe with the aforementioned vitamins that gets to the heart of the matter. K2 is believed to play a significant role when it comes to the prevention of bone fractures – something for aging women to take seriously into consideration. This is one vitamin that plays an integral role if you’re looking to live a long and healthy life – the reason being that it helps prevent all those degenerative diseases that end our lives prematurely. These include cancer, diabetes, osteoporosis, and atherosclerosis. In fact, some research has shown that not getting enough of the vitamin often causes the buildup of plaque in the aorta. The calcification of arteries happens when we take in too much calcium, without adequate amounts of Vitamin K2, magnesium, and vitamin D to balance it out. Some studies are showing that people who have higher Vitamin K2 levels also have lower chances of dying from cardiovascular diseases. 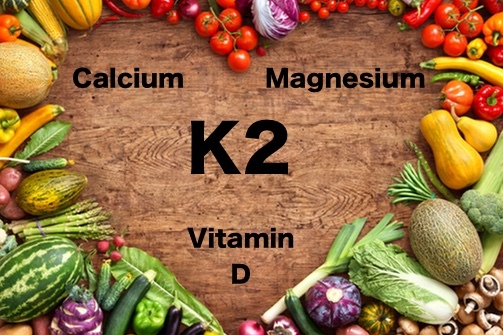 So you’ll want to get Vitamin K2 savvy if you want to love up your heart and extend your life. Another part of the vitamin K2 longevity piece lies in the fact that it has a potent affect on 16 Gla-proteins, which are directly related to death prevention from all causes. If you have the right amounts of vitamin K2 doing its work within you, you’re less likely to die of all causes. Who knew?! Vitamin K2 might just be your skin’s fountain of youth because it helps prevent too much calcium from getting to the elastin found in your skin. 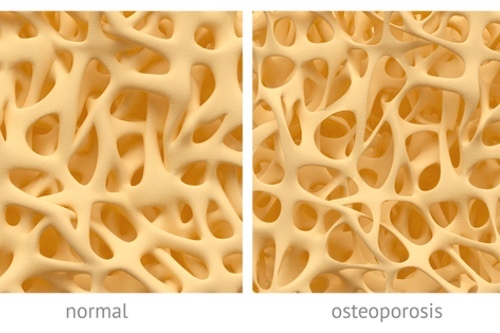 Research is showing that women who have low bones mass also have more wrinkles than those with higher bone mass. As we now understand that everything is connected within the body, if we keep one system healthy, we’re doing a great service to all of them. 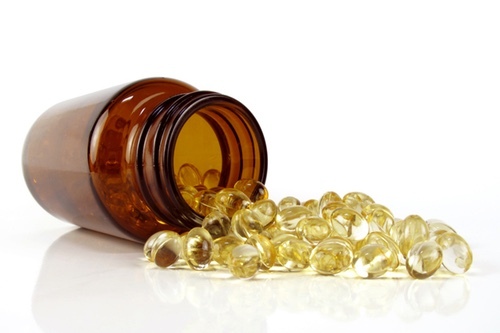 To prevent cancer and other diseases, vitamin D is essential, and vitamin K2 plays and important role in helping your body synthesize the vitamin D. It also helps in this matter in regards to calcium and magnesium. In fact, all the vitamins and minerals rely upon each other for optimal functioning and balance. You can’t have one without the other – and keeping a good balance is necessary for good health. You may not know this, but your mouth needs vitamin K2 as well. It’s super important for your oral health, and your oral health is essential for the health of your entire body. Vitamin K2 aids in the prevention of cavities, while also helping with tooth remineralization. In fact, some people have been known to actually reverse cavities through the process of tooth remineralization. This may be the biggest boon of having proper vitamin K2 levels in your body. So many studies are showing that there’s a major link between vitamin K2, vitamin D, and cancer. 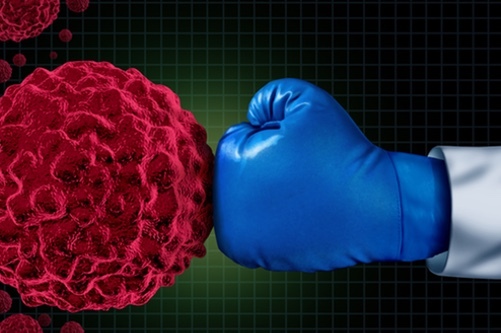 The research and studies coming out have shown that vitamin K reduces the proliferation of cancer cells, makes it more difficult for them to stimulate the growth of tumors. Vitamin K2 is known to reduce the risk of prostate cancer, lung cancer and also slow the growth of leukemia cancer cells. How to get it and how much is enough? So, how much vitamin K2 is enough vitamin K2? If you’re taking it in supplement form, about 150mch daily should do it, but it’s important to note that vitamin K2 comes in the form of a fat soluble vitamin, and if you’re pregnant or nursing, you’ll want to consult with a physician. If you’re not keen on supplementing, you can also find your source of vitamin K2 in dairy – but only the raw, grass-fed kind. This is due to the fact that it’s created by bacteria during the fermentation process. As we stated above, there’s lots of vitamin K in Japanese natto, but if you can’t find this Japanese staple in your local market, consider eating the following sources of vitamin K: grass-fed beef, organic chicken and chicken livers, raw, grass-fed cheese, raw, grass-fed butter, and egg yolks. Fermented cod liver oil is also a good source, as is something known as Emu oil. 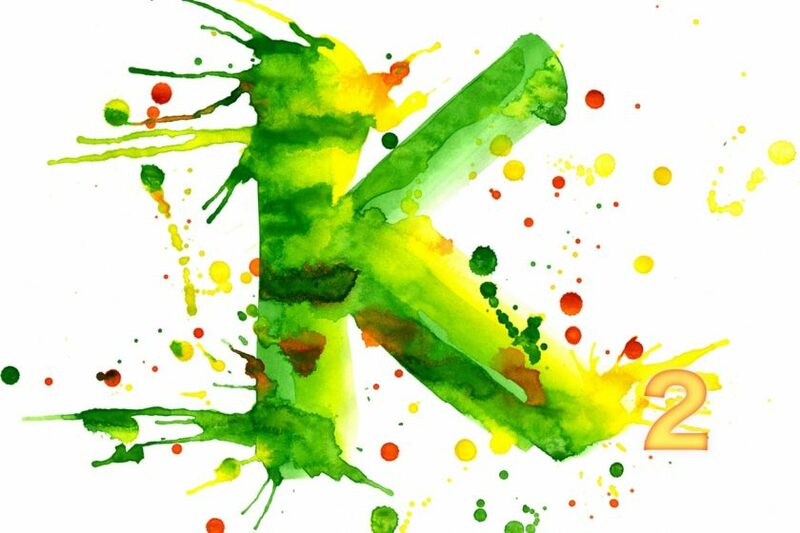 We hope this article helps raise your vitamin K2 awareness for a long and healthy, happy life!